It IS a very nice combination for the cockpit: but upon closer inspection, it’s a rounded corner dome top with a modified 1x3x2 brick with a curved top in-between. Impressive. Most impressive. 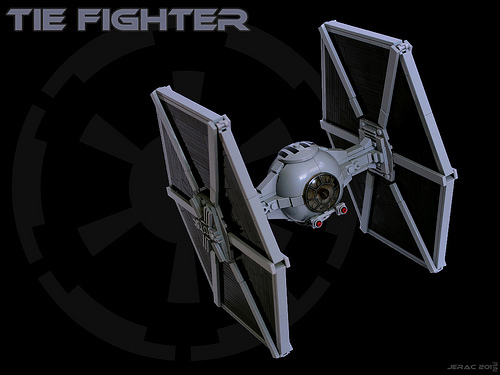 Easily the best TIE Fighter I’ve ever seen.